What was seen in the skies over Sturgeon Bay? On May 21, 1952, Coral Lorenzen, along with countless others across Door County, witnessed what came to be known as the Sturgeon Bay Flying Saucer. Coral was a writer for the Green Bay Press-Gazette at the time, using it as a platform to research Wisconsin UFO sightings. 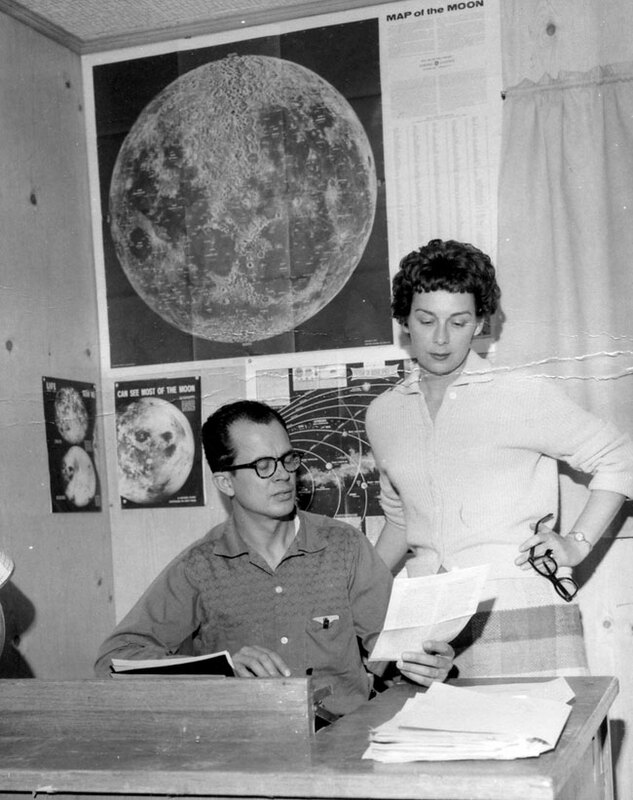 Just a few months earlier, in January of 1952, Coral and her husband Jim founded the Arial Phenomena Research Organization (APRO) to enable amateur researchers to investigate UFO reports in hopes of providing better answers than US government agencies had been. Coral’s interest began with her first encounter in 1934 when she was just 9 years old. 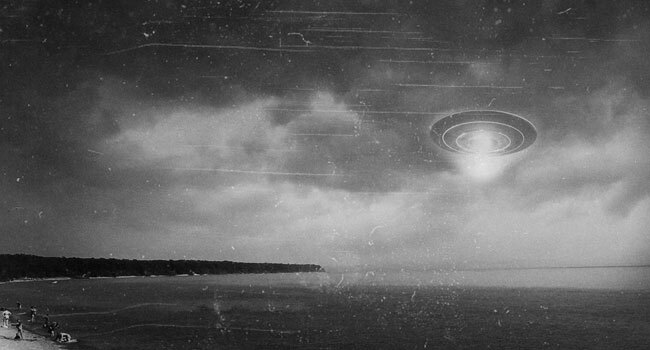 The object in the skies over Sturgeon Bay appeared to be metallic with a bright red glow at the bottom, according to Coral’s description in her 1966 book Flying Saucers: The Startling Evidence of the Invasion from Outer Space. It was moving very slowly toward the northeast, and was visible in the area for about 50 minutes. Based on calculations from observations made in Sturgeon Bay, as well as Fish Creek 30 minutes to the north, Coral and Jim estimated the object to be 780 feet in diameter at an altitude of about 40 miles. Many attempts to explain the sighting were made over the next few days. 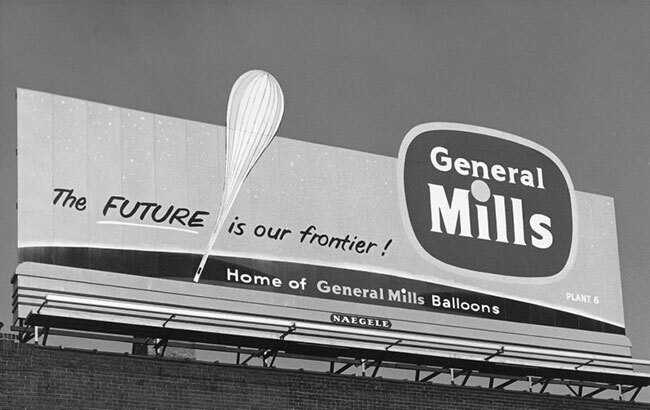 General Mills Co. in Minneapolis took credit, claiming it was one of their balloons they were developing for upper atmosphere research. They said they had launched one that morning, and it “could” have been seen over Door County that evening. “Where our balloons now float will be man’s highway of tomorrow,” Project Skyhook engineer Otto C. Winzen told Popular Science in 1948. While tracking their balloons, however, even General Mills had seen things even they couldn’t explain. The company had been unhappy with the Air Force’s treatment of the UFO reports, so they kept their file of unidentified objects to themselves until Air Force Captain Edward J. Ruppelt and Project Grudge promised an unbiased investigation into the phenomena. Ruppelt noted that one tracking crew had seen so many UFOs that they were no longer especially interested in them. Door County residents, frustrated with the attempts to rationalize what they had seen, felt the same.